Five years ago I was sitting at work in that quiet week between Christmas and New Year’s Day desperately looking for the 10th planet. I had made a bet five years before that that I would find a new planet by Dec 31, 2004. Time was running out. I was about to lose. I hate losing. So I was searching and researching all of the pictures of the sky I had taken over the past two years hoping that maybe somewhere in those old pictures was something that I had missed. Maybe there was still a planet to be found after all. Maybe I wasn’t going to lose my bet. Just 3 days after Christmas I came the closest I had ever come. There was something in the old images that had been missed the first time around, and it was bright. I sent email to Chad Trujillo and David Rabinowitz, the two other astronomers I worked with, saying that this new object was so bright that it might well be twice the size of Pluto. Or bigger! Being right after Christmas, we of course called the object Santa. Santa, which now goes by the official name of Haumea, we now know to be only about ½ the size of Pluto, and we call it – and Pluto – a dwarf planet rather than a planet. But back in those last days of 2004 when the discovery was first made, we had no idea where all of it was heading. Our understanding of the Kuiper belt has changed dramatically in these past five years. The best example of this change comes, I think, from the discovery of a large Kuiper belt object that was announced just a few days ago. For me it was a particularly surprising discovery. For the first time I was not at the receiving end of a telescope making the discovery, I was at the receiving end of an email asking me about this new object called 2009 YE7. “Never heard of it,” I thought. But, by decoding the numbers, I could tell it was something that had just been discovered a few days before. Like anyone else, my first attempt to know more was a quick trip to Google. Ah ha! A new large Kuiper belt object found from a telescope Chile, by David Rabinowitz! Yes, the same David Rabinowitz from the Haumea discovery. He has moved on to Chile to try to make newer discoveries from there, discoveries in parts of the sky that we didn’t look at back when we were working at Palomar Observatory outside of San Diego. Based on preliminary information, it looked likely the 9th largest Kuiper belt object ever found. David was clearly on to something good here. I didn’t have time to delve into any more details because all of this had occurred as I was sitting in a movie theater waiting for the start of The Princess and the Frog with Lilah. She loved the part before the movie started because she could watch the on-screen ads. I checked my email and found out that there was a large Kuiper belt object that someone else had discovered. Then the movie started. I was itching to get more information about 2009 YE7, but I allowed my mind to drift down the bayou instead. After the movie, though, my mind set to work on the implications of this new discovery. Based on its brightness it might well be a perfect size to test one of my new theories about medium-sized Kuiper belt objects. I feel like I now understand the largest objects, and I fear that I will never understand the smallest objects, but the middle ones are within grasp, if we can just find a few more to test some pet theories about them. For 2009 YE7 to be a good candidate for my theory we need to know if it has a moon, what color it is, and what materials are on its surface. Then we’ll see. I started thinking about where 2009 YE7 is in the sky, what telescopes I could use to point at it, how to time the observations. Even as I was thinking these thoughts, my mind was drifting back to the discovery of Haumea exactly five years earlier. Back then, on the day of the discovery, we knew absolutely nothing. I had no good ideas about what Haumea would be like; I had no theories I was testing, no hypothesis to work out, no predictions to boldly claim. We were simply in the very early stages of exploration to see what was there. The exploration was going well! Soon after the discovery of Haumea, we tripled the jackpot by first discovering Eris – the one we now know to be larger than Pluto – just two weeks later, and then Makemake – the one we now know to be just a bit smaller than Pluto – a few months later. I felt the universe was exploding with new bright Kuiper belt objects and possibilities were endless. We didn’t know anything about what these objects were, how big they were, what they were made of, or what had happened to them. In April 2005 I still believed it possible that they were all 3 larger than Pluto and that they would eventually be called the 10th, 11th, and 12th planets. In the five years since, we’ve learned a tremendous amount. We determined their sizes and gave up on any of the things in the Kuiper belt being planets (I lost my bet, too). We found Haumea’s two moons; we found that it had a surface that looks like an almost perfect glaze of ice; we found that it was white, again like ice, we found it elongated and spinning end over end every 4 hours, and we found a cloud of other smaller objects on similar orbits. We found that Makemake is covered in thick layers of frozen methane, that Eris is bigger and heavier than Pluto, and, most importantly, that things were beginning to make sense. We had moved from exploration to explanation. Haumea’s strange properties – and that cloud of objects in similar orbits – were all a consequence of a giant impact 4 billion years ago or so. Eris and Makemake were large enough that they should have methane on them. With our new found knowledge even things that had been discovered earlier were finally being put in context. Quaoar is a weird combination of Haumea and Makemake. Orcus is what Makemake would look like if it were just a little smaller. Varuna is, well, Varuna is still confusing. Mostly, though, now instead of each object being an individually mystery to be solved, each new object is a piece of a puzzle where many of the pieces have already been put into place. With only a little information, we can guess where the piece likely goes. Which brings me back to 2009 YE7. Five years ago, its discovery would have been a thorough mystery to solve. But when I first heard of it two days ago, it was, instead, potentially the exact area of the puzzle I had been looking to fill in. I thought it was going to be that perfect medium-sized Kuiper belt object to try out my theories. I just needed some telescopes, some computers, and some time, and everything would fall into place. I thought it would be a fun month or two to try to collect and analyze the data quickly. I was wrong. It took me about 2 minutes to figure out almost everything that there is to know about this object and its violent history. When I finally got home and got a chance to look a little more closely (and “a little more closely” here doesn’t mean much; as of today still nothing is known about the object except for its position for about the past two weeks), I realized two things that told the whole story. First, 2009 is YE7 bright. In absolute terms, it is the 9th brightest object, which is what led to the reasonable assumption that it is likely the 9th largest object (by absolute brightness here, I mean the brightness things would have if they were all the same distance away; some objects are bright just by virtue of being close). Second, the orbit of 2009 YE7 is tilted relative to the planets by 29 degrees. Following the position of an object for only 2 weeks doesn’t give you a precise measurement of much about its orbit, but that tilt is one thing that is solidly known even with this limited data. An angle of 29 degrees is an unusually high angle. Not too many objects are tilted by that much. But one that is is Haumea. Ah! Haumea! Haumea with its family of shards all going around the sun on orbits just like it. Tilted by 29 degrees. 2009 YE7, the brightest object discovered in the Kuiper belt in almost 5 years, is almost certainly one of the large shards (perhaps even the largest) blasted off of the surface of Haumea 4 billion years ago. 2009 YE7 and the other shards have been circling the sun on their own ever since. It is bright not because it is particularly large, but because all of the fragments of Haumea have extremely bright, reflective, icy surfaces which make them stand out against the more common darker Kuiper belt objects. 2009 YE7 is not the 9th largest Kuiper belt object; it is probably about 440 km in diameter and so in the top 50. I will admit that I miss the old Kuiper belt. I miss the mystery and wonder of exploration of unknown territories. There will be nothing like it in solar system studies for a long time to come, I suspect. Perhaps ever. And yet, as much as exploration is thrilling and exhilarating, there is something deeply satisfying about learning about a new bright Kuiper belt object while sitting in a movie with your daughter and understanding most of its 4.5 billion year history soon after getting home. We’ve learned so much. We’ve come so far. A technical aside on 2009 YE7. The tilt of the orbit alone does not prove it to be a Haumea fragment, particularly since the other parameters of the orbit are still poorly known. Above, when I say it is “almost certainly” a fragment, the assessment is a judgment based on experience, rather than a scientific fact. But I’m pretty confident, sufficiently confident that I’d be willing to bet (I need to win back some of my loss from that old 2005 bet, right?). The real confirmation, though, would come from an infrared spectrum that shows evidence of deep water ice absorption features, but that requires a pretty big telescope. Almost as good, though, would be optical colors showing it to be white (solar-colored, really) like all of the other Haumea fragments. Measuring these colors is actually quite easy; all you need is a ~1 meter telescope and ~1 night of observing. Any two photometric bands would be good. I would probably just try V and R. Then measure a solar colored standard star and compare. They will be the same, I predict. Go do it! Tell me the answer! It’s fun to make predictions, and even more fun for them to come true. I don’t actually think the exploration is finished yet. The southern skies are still largely terra incognito for the Kuiper belt. David Rabinowitz has clearly just started the journey; others are scanning out there, too. Much of what they find may indeed fit into the frame of the puzzle that we already know, but I still hope some day to open up some email and read about some new discovery and sit stunned realizing that someone just found something that I didn’t expect at all. It is stuff like this is why science is so awesome. There is so much to learn, to explore and to think about. The Kuiper Belt still has big surprises out there. As a matter of fact, I made a bet with a Twitter follower of mine that someone (maybe you) will discover an object as large as Mercury in the next twenty years. A also think there is a chance (maybe 25%) that the sun has a brown dwarf companion out there. Thank for sharing your insights! I understand that next year the newly launched WISE telescope will scan the heavans looking for previously unseen objects. I think we are in for some interesting discoveries! One thing I have noted though. Our solar system seems to be defined by a inner system of medium rocky planets then a middle system of large gas giants (getting progressively smaller) followed by an outer system of small rocky planets. Following the pattern I wonder whether outside the outer system of small rocky bodies there is an outer outer system of small gas giants. Personally I think it's way too premature to say we've given up on counting Kuiper Belt Objects as planets. That seems to depend on whether one takes a dynamical or geophysical perspective. I wonder if we may not end up with two different paradigms existing side by side depending on the perspective of the astronomer in question. Then there is also the theory of a brown dwarf somewhere possibly as far as the Oort Cloud. Would that be a second star, making our system a binary, a planet, a dwarf planet, or something else? As an astronomy grad student, I have to say, you don't need to have a kid to be super excited to find out about a new Kuiper Belt Object, exoplanet, or any astronomical discovery. Sometimes it seems like the academic world shows favoritism towards PhDs and MScs with kids as opposed to those who don't have them. There is nothing better than a new discovery, period. Like you I've also heard that a couple of new Kuiper Belt searches are being started, so I'm looking forward to some great news in the New Year. Thank you for bringing all of us up to speed on the ideas behind objects like 2009 YE7. Haumeid or not, it is quite funny that it was discovered almost exactly 5 years after Santa was. Since you are inclined to believe that YE7 (H=2.8) has a high albedo of 0.7 resulting in a diameter near 440km, do you think 2002 TX300 (H=3.2) has basically the same albedo and thus is even smaller (H=3.2 with albedo=0.7 would be 364km)? Is there any reason to think brighter/larger Haumeids could have an intermediate albedo of like 0.4? Any updates on the red-sloped reflectance spectrum of 2007 OR10? I assume the redness is caused by tholins? Idea for a new bumper sticker: Reunite Haumea! Where does the age constraint on the Haumea breakup come from? 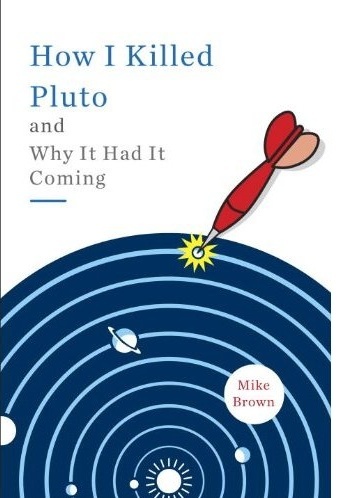 Wikipedia is also a time machine: Mike is right, Haumea was "twice as wide as Pluto" back in July 2005. :-) Then the IAU used their ray gun to shrink everything. In March 2004 Sedna was almost 2000 kilometers. In February 2004 Orcus was assumed to be approximately 1600 km. In October 2002 Quaoar was 1,280 kilometres. Mike, if you could indulge an old Caltecher in what might be a dumb question, is anyone thinking that things like the abrupt edge to the Kuiper Belt and the odd orbit of Sedna are caused by an unseen Brown Dwarf companion to the sun? It's one of the things that has me especially interested in the WISE mission, but I have never seen anyone voice this hypothesis, so I'm wondering if there's some obvious reason it can't be so. I can understand your joy to see another potential haumeid that would consolidate your models. However for those who await eagerly the discovery of new planetary bodies, with some structure and astrogeological value per se, this prospect is a disappointment. I hope that the southern skies will reveal bigger fishes. Oh, by the way, you state that 2009YE7 comes 9th in absolute magnitude but I'm afraid you are forgetting Charon (H=+1). @kevin We just got new data on 2007 OR10, and, indeed, it is crazy red. What does this mean? Current theory: baffled. @greg: I really wanted to believe that theory about 8 years ago, but the rest of the dynamics of the Kuiper belt doesn't make sense. Doesn't mean there is nothing out there. I'm working [slowly] on a piece about the true limits to what might be found. @NeptunesGuard: I'm with you. The bigger the better. Mike, is 2007 OR10 ultra-red AND ultra-bright (like Makemake) or just ultra-red? In other words, can we hope that the albedo is not too high for Snow White (or should I say Snow Red) to be above Desch's threshold of 1100km in diameter? In any case this is indeed surprising that such a body with an Eris-like orbit presents a dissimilar surface spectrum, while being like Eris close to its aphelion (hence at the coldest end of its potential N2 recondensation cycle). I like it: for this means a specificity hence more interest. 2006 QH181 is on a similar orbit with H=3.8, so hopefully not too dissimilar in size: may be its spectrum would provide for an interesting comparison? By the way Mike, there seems to be many objects with an Eris-like period and eccentricity, close to the 10:3 resonance vs Neptune(but not at the resonance, apparently, most often with a>67.07=a(10:3)). Eris, 2007OR10, 2009 KN30, 2008 OG19, 2006 QH181, 2006 HX122, 2003 QK91, 2003 OS33, 2001 OM109, 2001 OT108, 2001 FN&FJ194, 2000 QK226... This is a significant fraction of all SDOs discovered to day. Looks like an attraction point period-wise. What is your opinion about it? So long for the haumeid assumption, unless this is the remnant of the impactor on the proto-Haumea? By the way, D. Rabinowicz has announced another Eris-orbit-like object (2009 QG19, at H=6 and a=67.7AU). Mike, you made on incorrect statement. It had not been observed for a "few weeks", but rather only 5 days, IMHO, too early to assume much about the orbit. New data in today (11 obs over 24 day arc) has shortened the period considerably, now leading to MPC classifying it as a Plutino rather than a Cubewano. Wow; you guys are right, 2009 YE7 is actually MUCH fainter than the initial report (something like the 26th brightest, not the 9th brightest). And a longer observation suggests that it is a Plutino, not part of the Haumea family. Interestingly, though, with only a 24 day arc, you should not put any faith in semimajor axis or eccentricity, only in inclination and distance. With the inclination still at 29 degrees I am still willing to bet that this guy is part of the Haumea family. But the H=4.1 is the part that now gives me pause. We need a color. Anyone measured one yet? When someone shows that it is not neutrally colored I will officially give up on my prediction! I am baffled by the H=4.1 too. Given that you are supposed to know your photometry and your distance to the Sun, how can H vary so much? By the way you had a big variation too on 2007 OR10 going from 2.5 to 1.9 in the days after your announcement. At that time, I thought this was due to revision of distance to the Sun (outwards) by you but only you know the answer! JPL.orbits still displays an object at about 50AU from the Earth so it seems indeed the distance has not been revised. NG: The distance is usually very well determined. It's usually the photometry that is bad. We (and I suspect D. Rabin, too) take uncalibrated images for our searching and only try to calibrate them after the fact. As you see, that doesn't always work so well. It's not too much of a problem, because when we DO find something, we always go back and take calibrated images of it. But those first reports can be a bit amiss. I must say, though, I've never seen one change by quite this much. My guess is that David is still working out the bugs in his southern hemisphere observing. As always, I would say, stay tuned. A typo: the Eris-orbit-like object announced by D. Rabinowicz is 2009 YG19, not QG19. 2002 TX300 is now estimated to be about ~286km in diameter with an albedo of ~0.88. What ranges of orbital characteristics do you expect for the Haumea family members? The lowest absolute magnitude has 1999 OY3 (6.8). With New Horizons on it's way to Pluto, we are soon going to have a probe out there. I think it'd be a good idea to use New Horizons to look for more Dwarf planets, because it is so much closer, we'd see more. The again, its not a telescope. But I believe next time we send something in to the Kuiper belt, we should equip it with a small telescope and see if we can find anything. It is far superior to search from Earth for objects beyond Neptune. Even from Neptune/Pluto other dwarf planets will be too far away and too faint to be easily detected.